Peacefully with family by her side, at the Lennox and Addington County General Hospital on Tuesday, February 5, 2019. 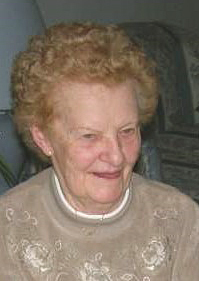 Ruth Elizabeth Sills (Cuthill) of Napanee at age 89. Beloved wife of the late Donald Sills and dear mother of Donna Carleton (William) of Springbrook; Deborah Tatton (Ed) of Tamworth and Ronald Sills (Liza) of Selby. Also survived by several grandchildren, great-grandchildren and nieces and nephews. Sister of Howard Cuthill (Doris); Jim Cuthill (Vera); Georgina Herrington (late John) and the late Clara Perry (late Jack). Funeral Service at the HANNAH FUNERAL HOME in Napanee at 123 Dundas Street West (613-354-3341) on Thursday, February 7 at 11:00 a.m. Interment McDowall Cemetery in Sandhurst. In lieu of flowers, memorial donations made to the UKHF (Cancer Clinic); Lennox and Addington Senior's Outreach Services or the Lennox and Addington County General Hospital Foundation would be appreciated by the family.